The Smithsonian’s National Museum of American History will recognize the life and legacy of Prince Rogers Nelson (1958 – 2016) by displaying his “Yellow Cloud” electric guitar. 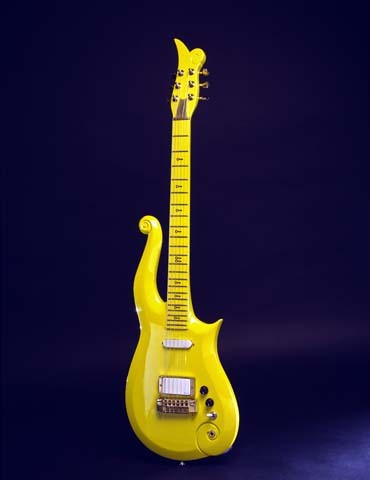 The guitar was made in 1989 and used during Prince’s Diamonds and Pearls era. It will be on view beginning April 26, through Labor Day, Sept. 5. An image of the guitar is available for press. Once installed, it can also be photographed or filmed in the museum. For access, contact Amelia Avalos at avalosa@si.edu. Through incomparable collections, rigorous research and dynamic public outreach, the National Museum of American History explores the infinite richness and complexity of American history. It helps people understand the past in order to make sense of the present and shape a more humane future. The museum is continuing to renovate its west exhibition wing, developing galleries on democracy and culture. For more information, visit http://americanhistory.si.edu. The museum is located on Constitution Avenue, between 12th and 14th streets N.W., and is open daily from 10 a.m. to 5:30 p.m. (closed Dec. 25). Summer extended hours, open until 7:30 p.m. beginning Memorial Day. Admission is free. For Smithsonian information, the public may call (202) 633-1000.